The event will be held Saturday April 7th from 3:00 PM to 6:00 PM. The location is 921 Boylston street, The LOFT (3rd floor), Boston, MA, 02215. It’s an open mic night and bake sale! 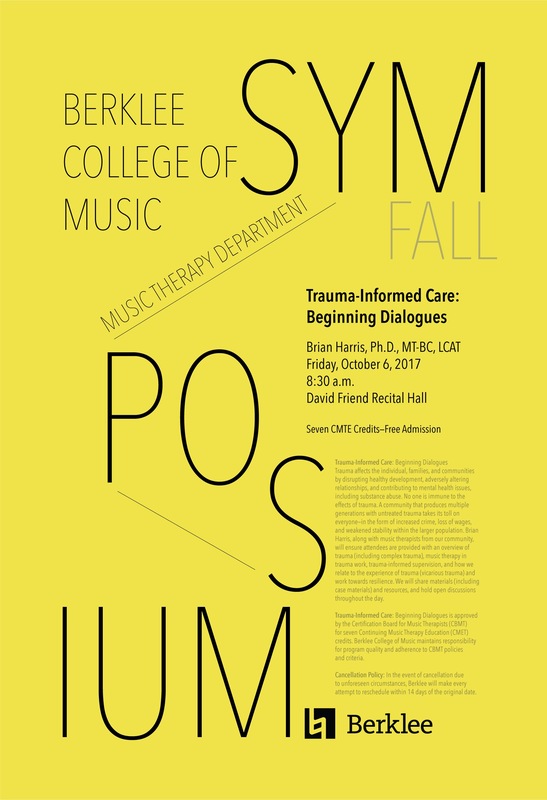 All are welcome; students, new professionals, professionals and the general public. The funds raised will be used for student conference scholarships. The sign up sheet and other additional information can be found on the NER-AMTAS Facebook page. 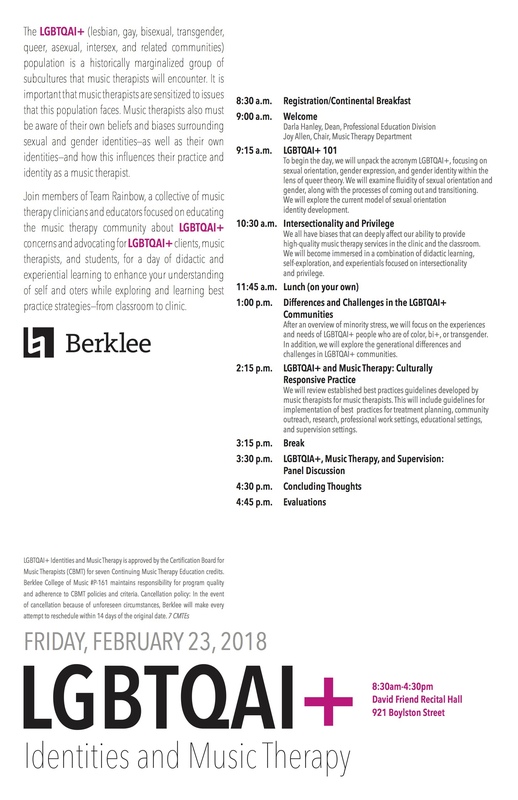 South Shore Conservatory is offering a Drum Circle Facilitator Training workshop on Saturday March 3, 2018. No experience is necessary; open to everyone. Please share with colleagues and friends. 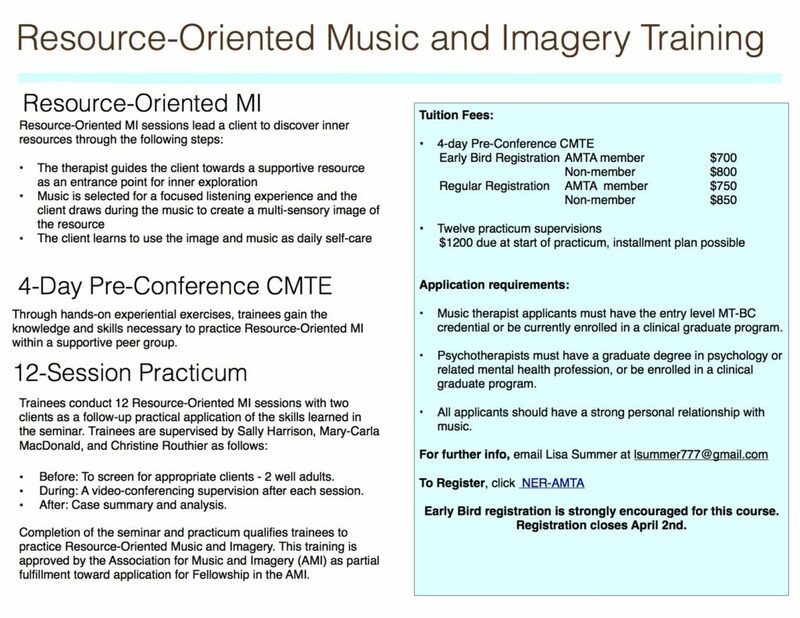 Music therapists can receive 7 CMTEs through CBMT. Join us on Saturday 11/18/17 from 930-11am. Update: all spots are filled!! As a gift, AMTA would like to provide five complimentary registration for five NER-AMTA members in good standing to attend the AMTA Leadership Academy at this year’s annual AMTA Conference in St. Louis, Missouri. This institute will run on Wednesday, November 15, 2017 from 12:30-5:30pm. Now in its third year, the AMTA Leadership Academy gives everyone a chance to develop and deepen their leadership skills and capacity. Through a series of presentations by a diverse panel of leaders within our field, Leadership Academy participants will experience multiple frameworks for thinking about leadership and how to recognize and build critical skills in all areas of leadership! Whether you have attended a previous Academy or not, this year’s Leadership Academy is sure to provide you with new information, insights, and connections to help you grow into the leader you desire to be in your work, your community, and in your life. Please see session information for further details. 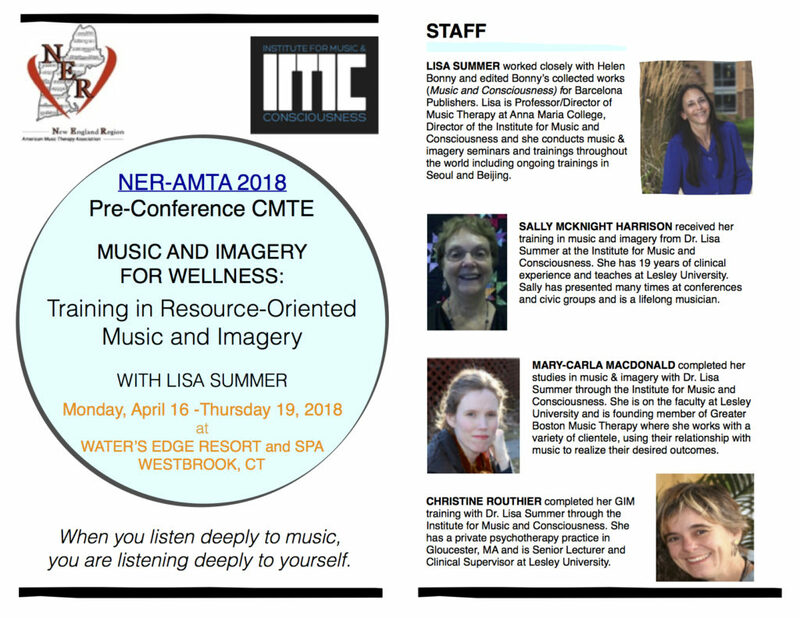 If you wish to be one of the five NER-AMTA members to attend at no charge, please contact NER President, Judy Engel, at president@musictherapynewengland.org. 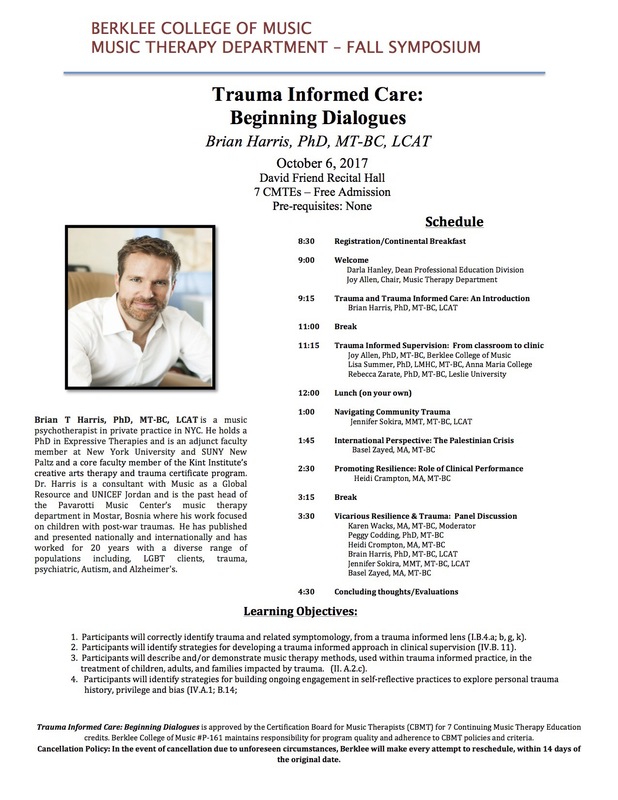 Note that tickets are available on a first-come, first-served basis; the first five NER-AMTA members to make contact will receive complimentary registration for the AMTA Leadership Academy. Please note that NER-AMTA is unable to assist with or plan transportation, lodging, parking or meals (these would be on your own).